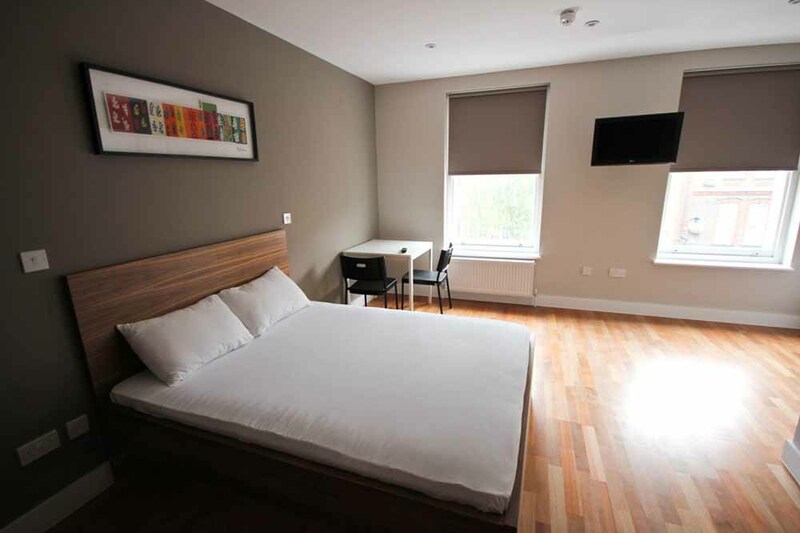 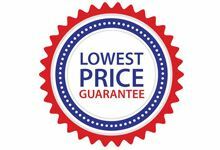 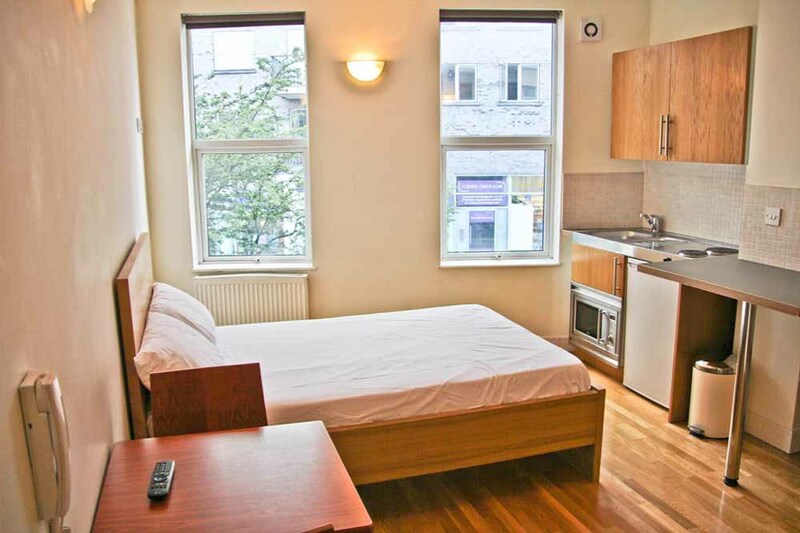 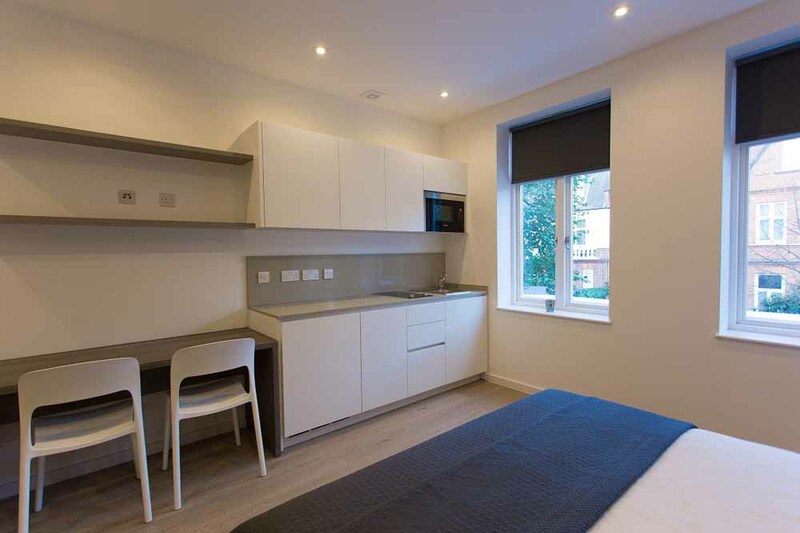 Lymington Road Apartments are conveniently placed in North London minutes from..
Lymington Road Apartments are conveniently placed in North London minutes from two stations, West Hampstead and Finchley Road and Frognal and are only a short walk away from the Hampstead's high street shops on West End Lane. 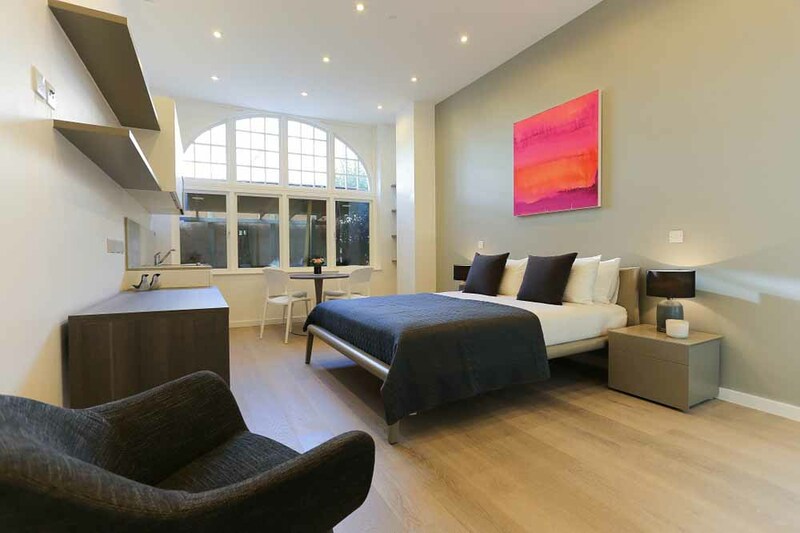 The neighbourhood, one of London's wealthiest addresses, beautifully blends countryside charm with city living and is loved for its mix of elegant properties, celebrity residents, village shops, posh boutiques and cool cafes. 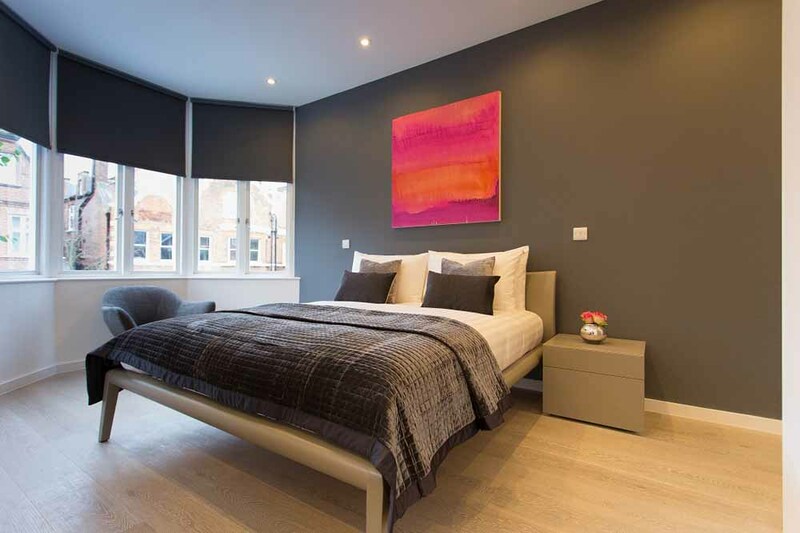 From Sigmund Freud to John Keats and John Constable, Hampstead has been home to many brilliant visionaries and artists, whose history and life's work are featured in the local attractions like Keats House, Freud House and 2 Willow Road. 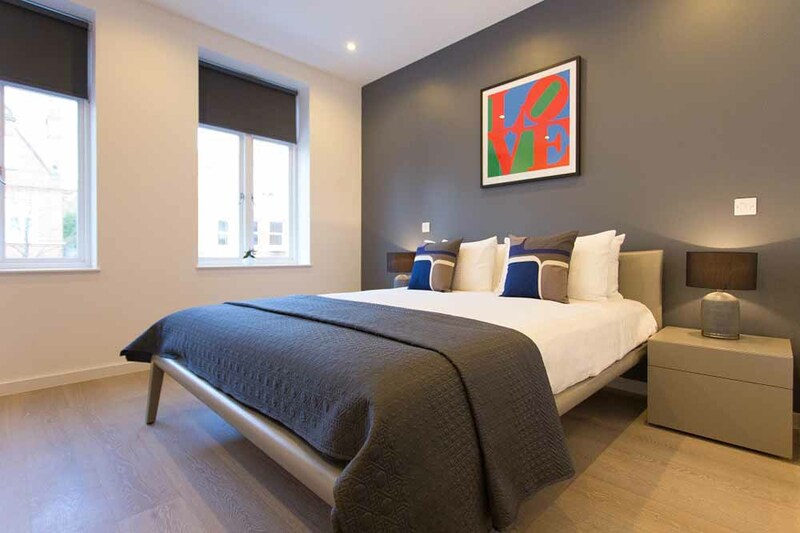 Then there is the lush Hampstead Heath, the largest of London's green spaces, with pretty gardens, a swimming pond, a Regency house called "Kenwood House" where you can explore art masterpieces and spectacular views of the city from "Parliament Hill". 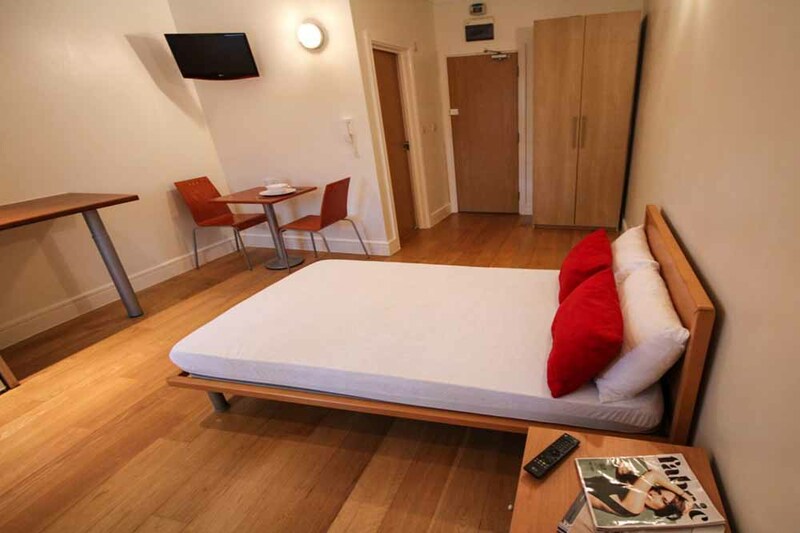 For those looking for something unique, head to one of the area's quaint bookstores like Daunt or West End Lane Books, or catch a show at one of its unusual theatres like arthouse cinema "Everyman Cinema". 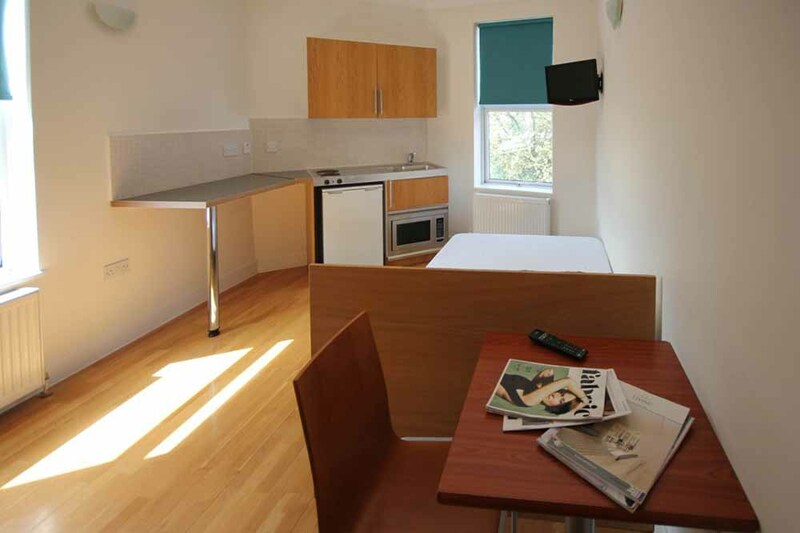 Within walking distance you will find a selection of convenience stores, florists, coffee shops like Costa and Starbucks, restaurants and a Tesco supermarket. 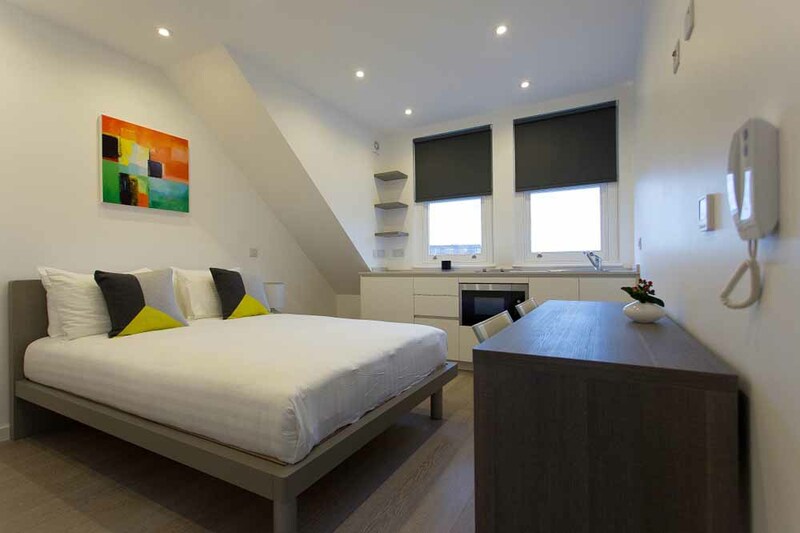 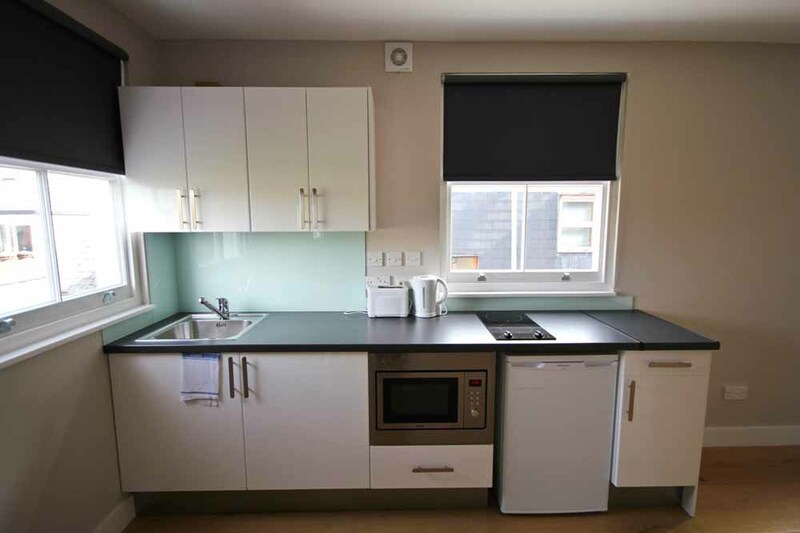 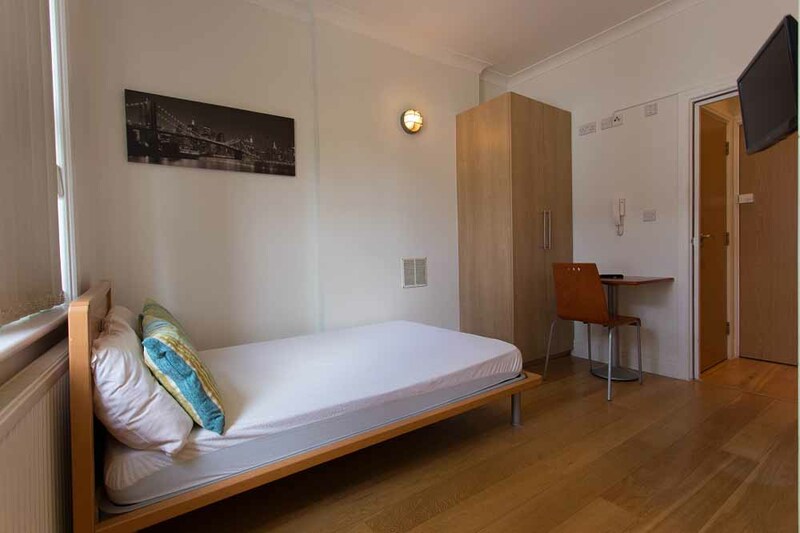 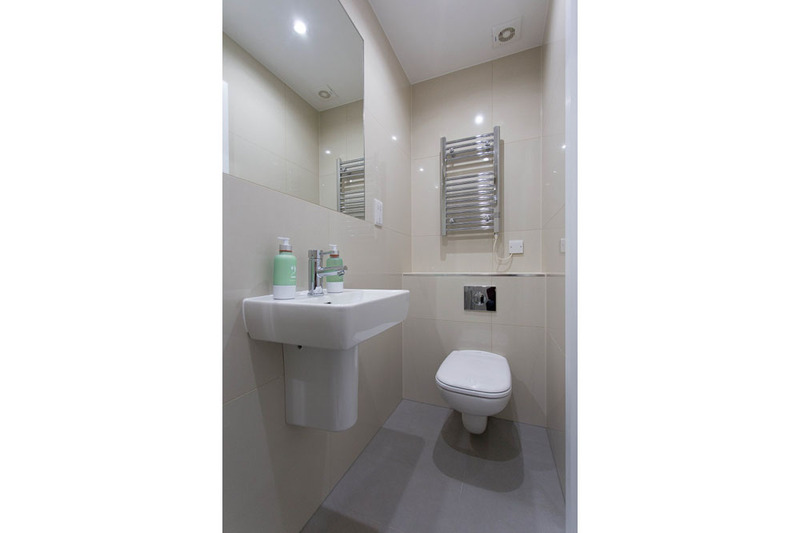 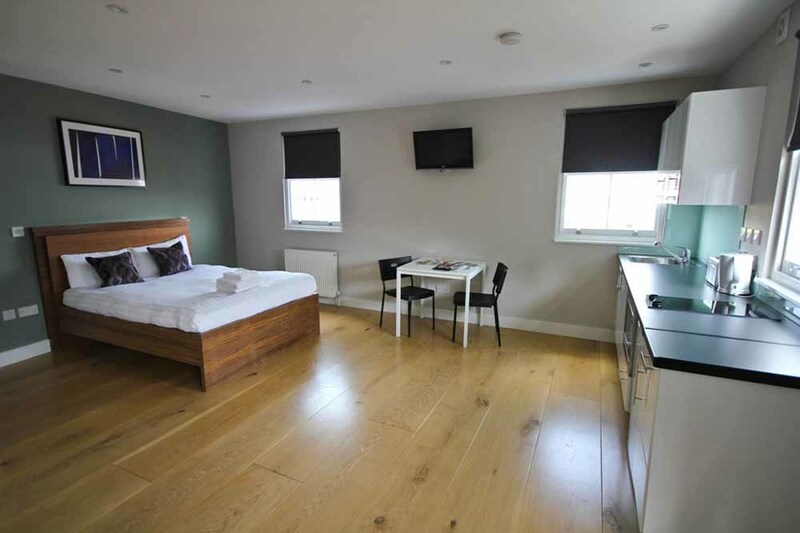 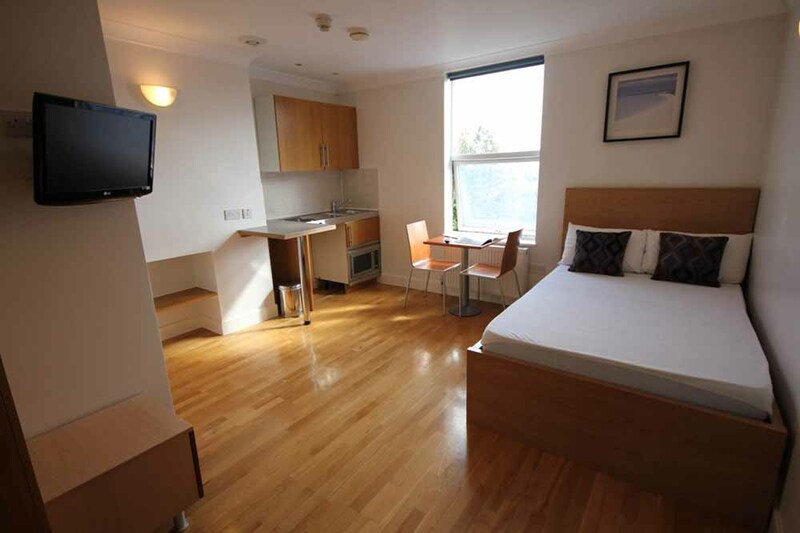 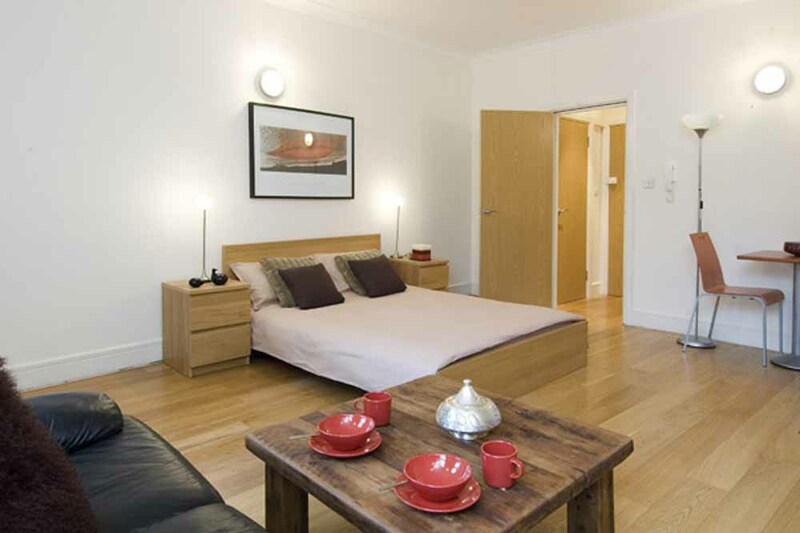 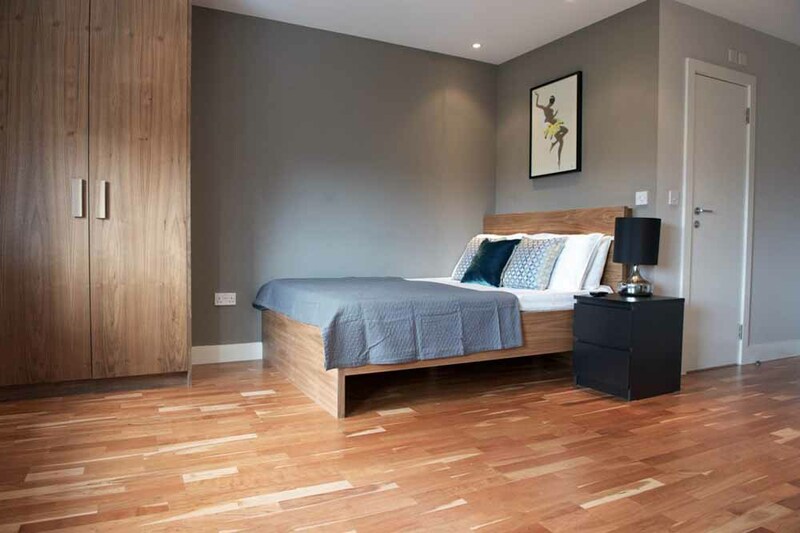 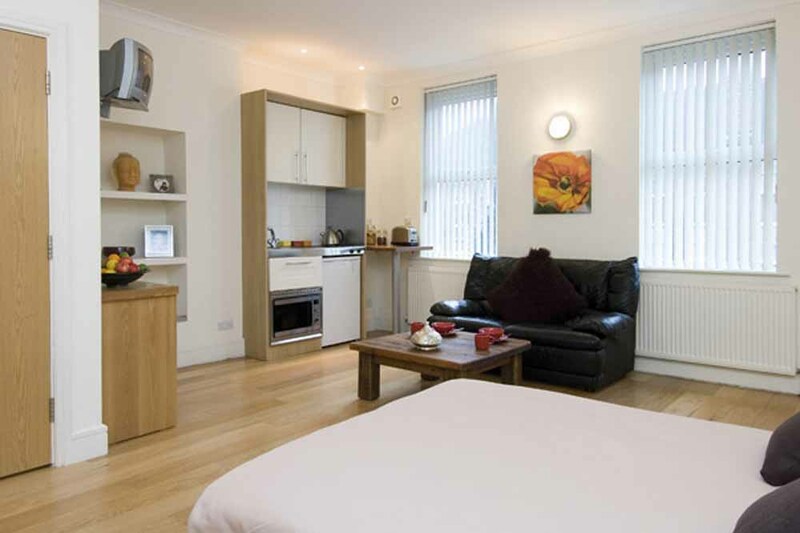 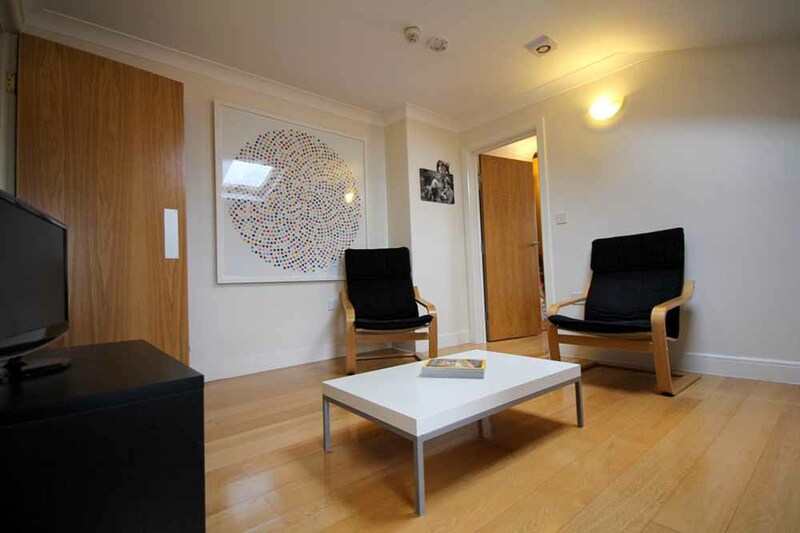 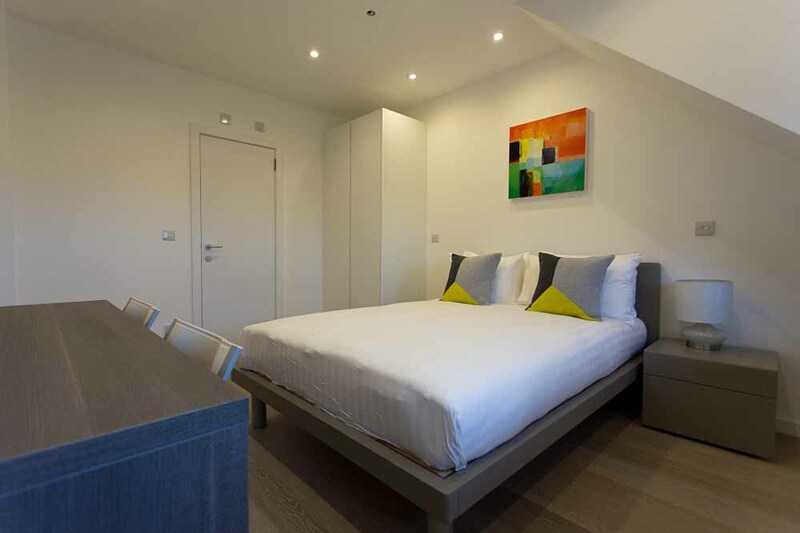 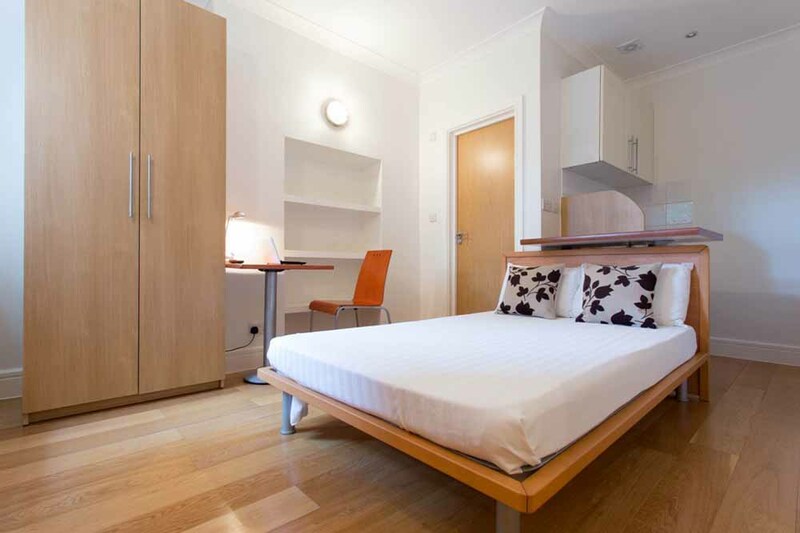 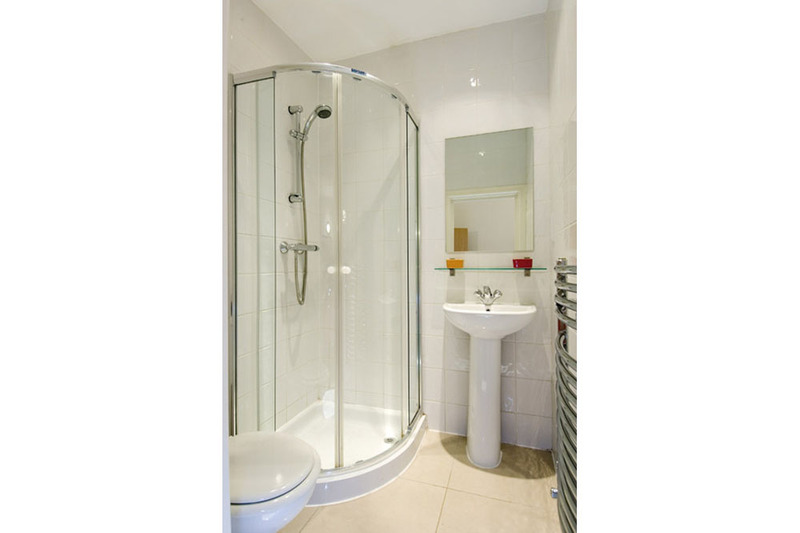 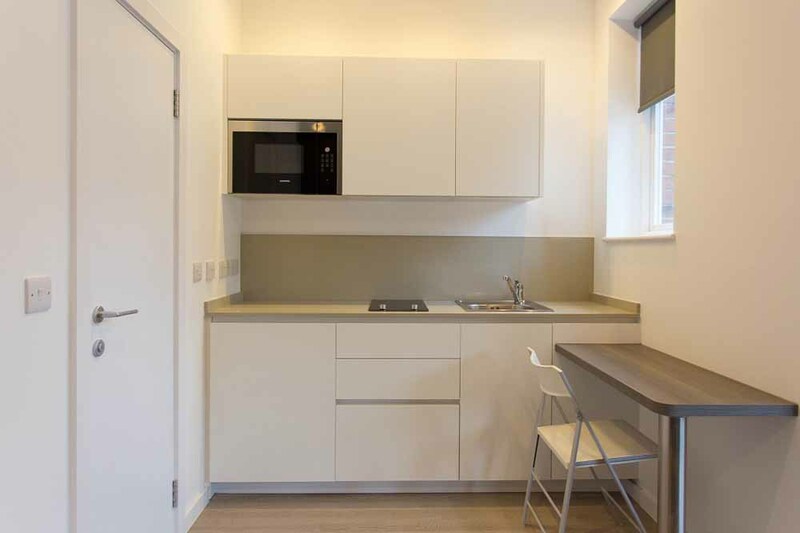 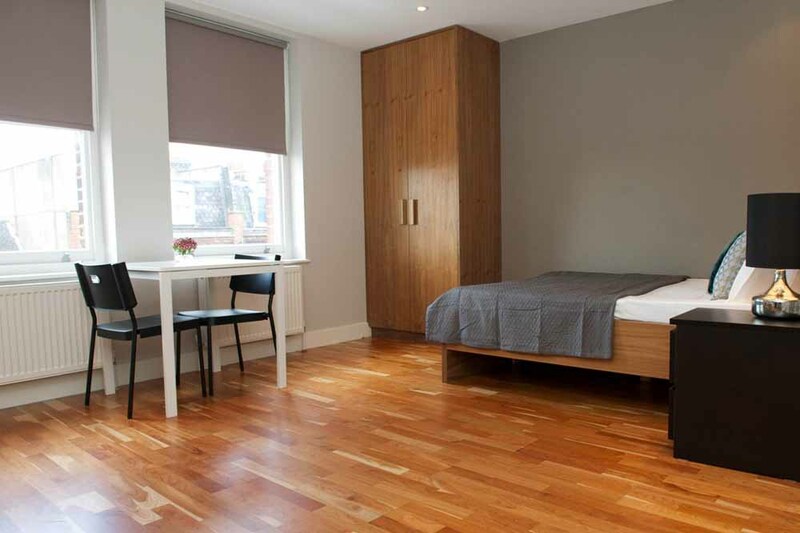 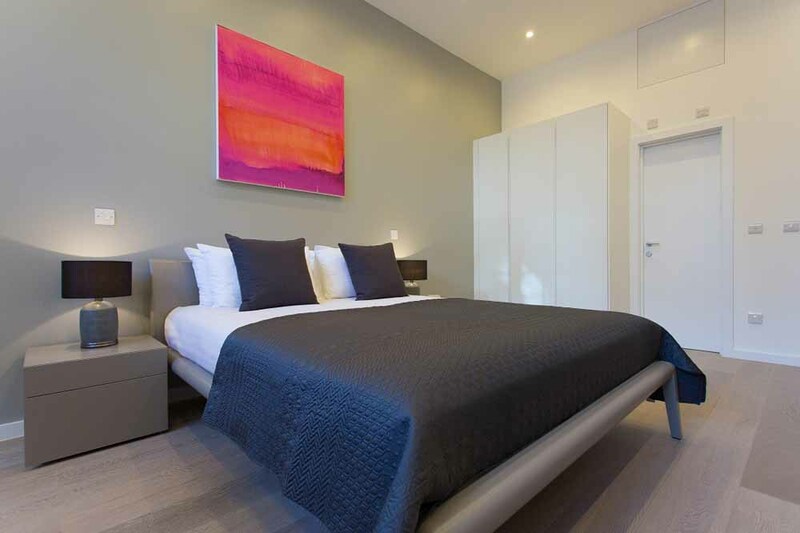 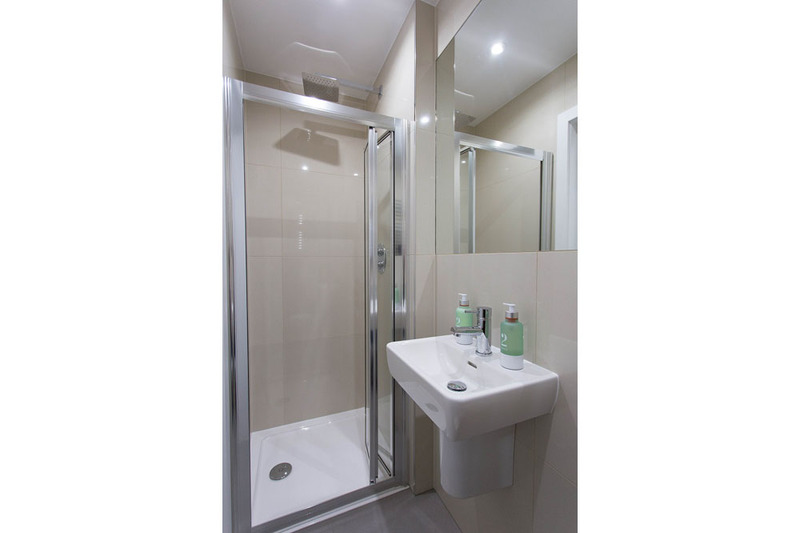 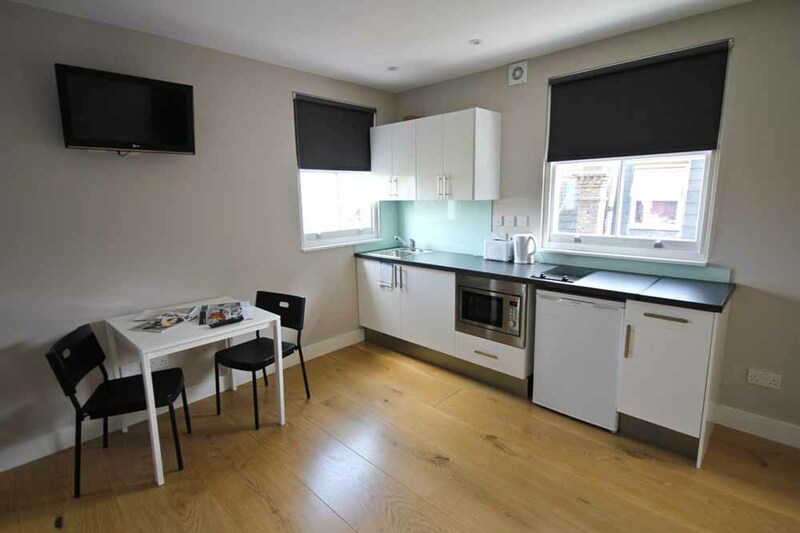 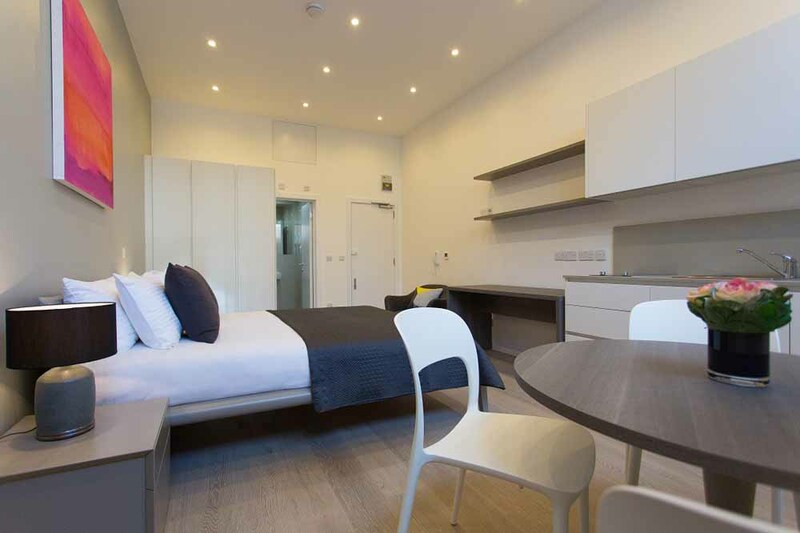 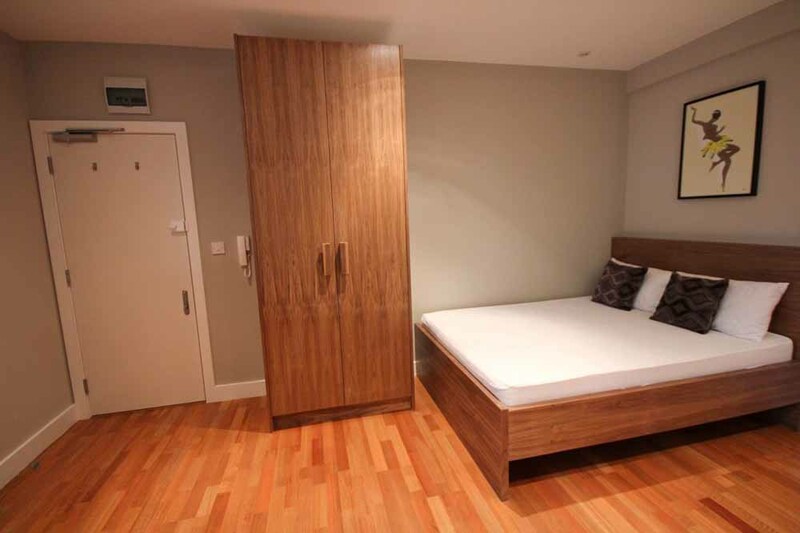 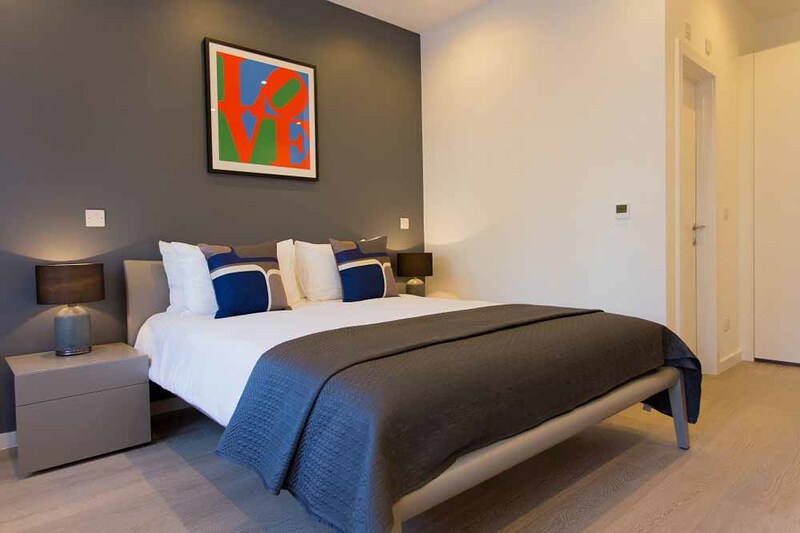 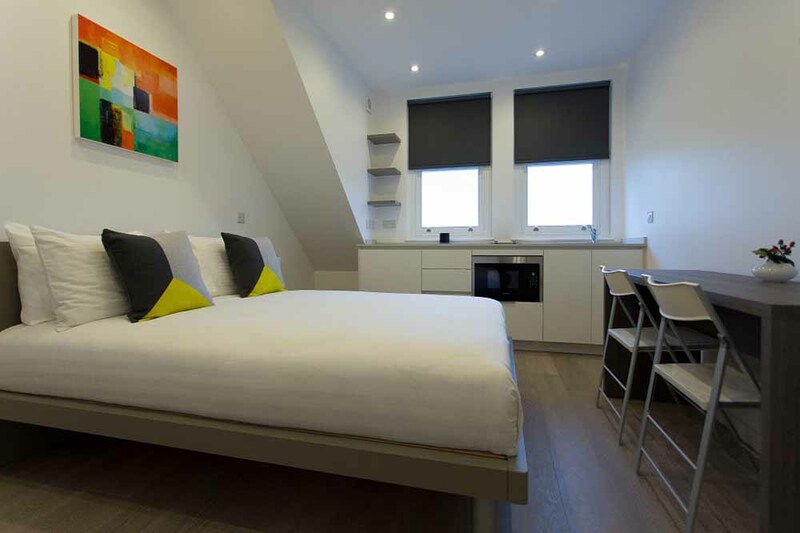 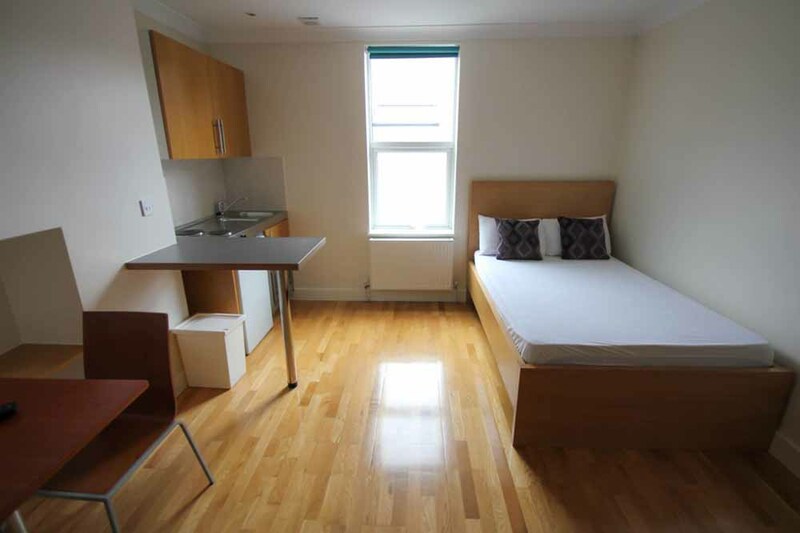 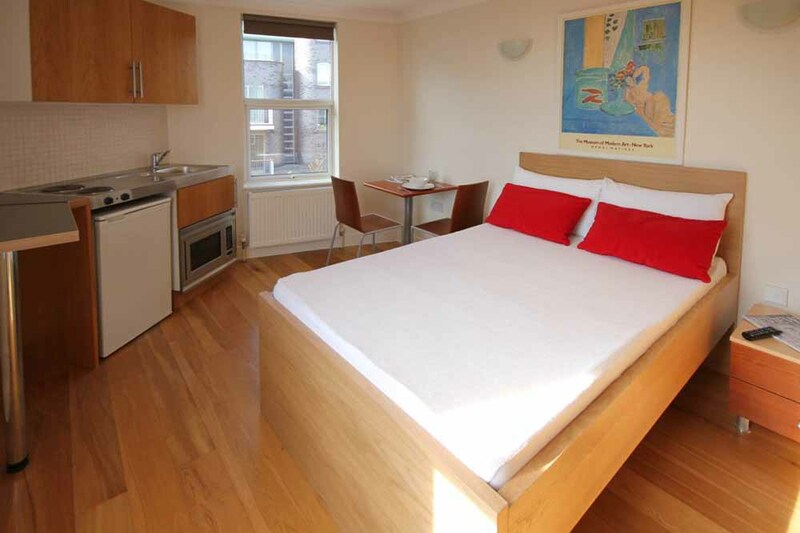 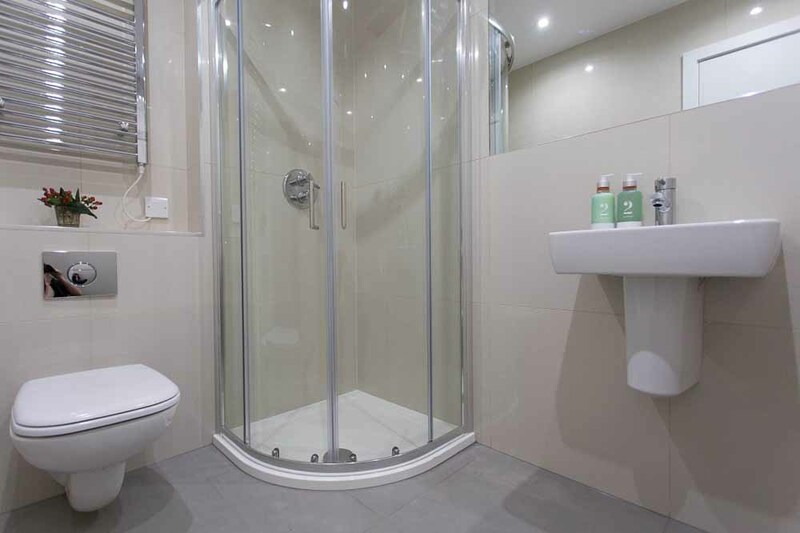 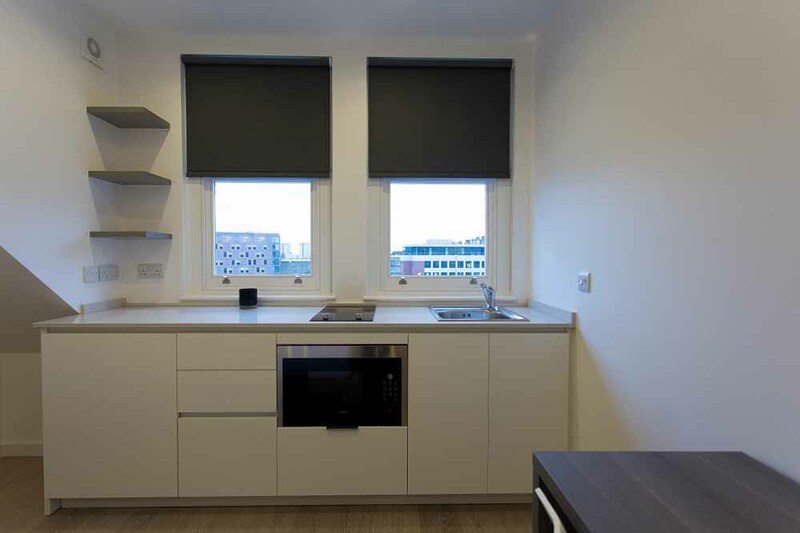 Lymington Road Apartments are very contemporary in style and present a living space that is practical and stylish for a short or long term stay in North London. 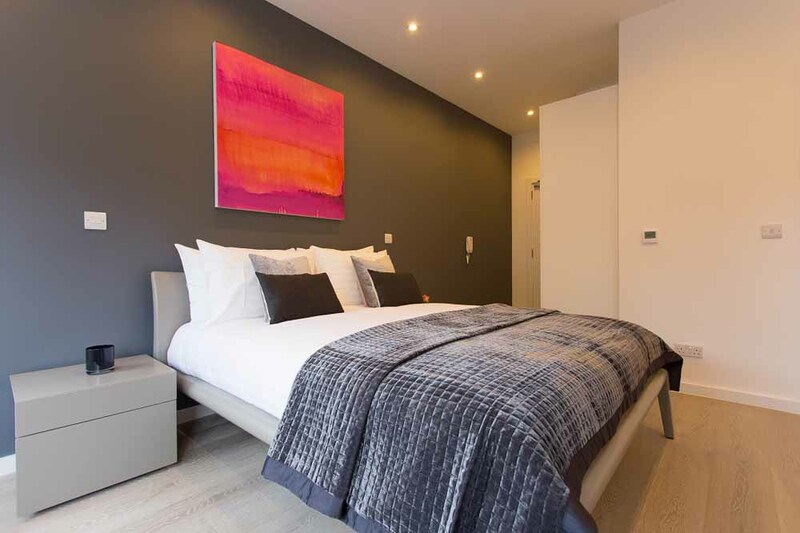 Sleek fittings, neat lighting, colourful accents, modern furniture and a neutral colour scheme make this a relaxing place to call home. 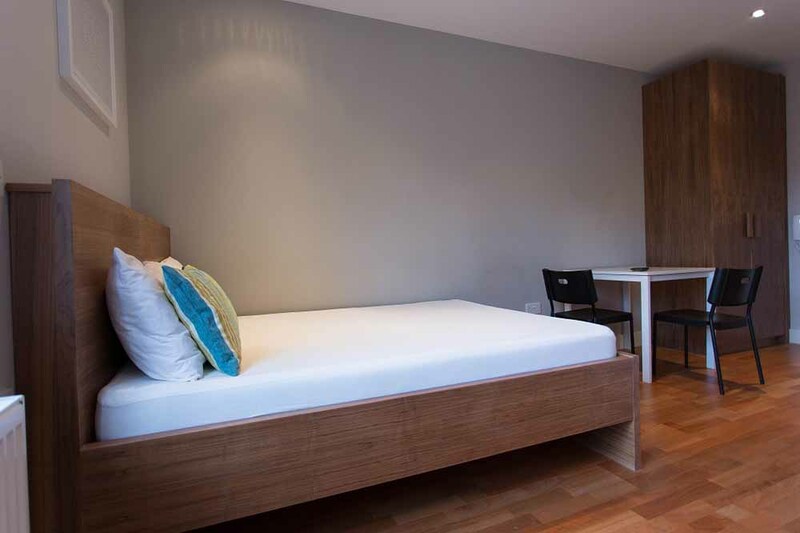 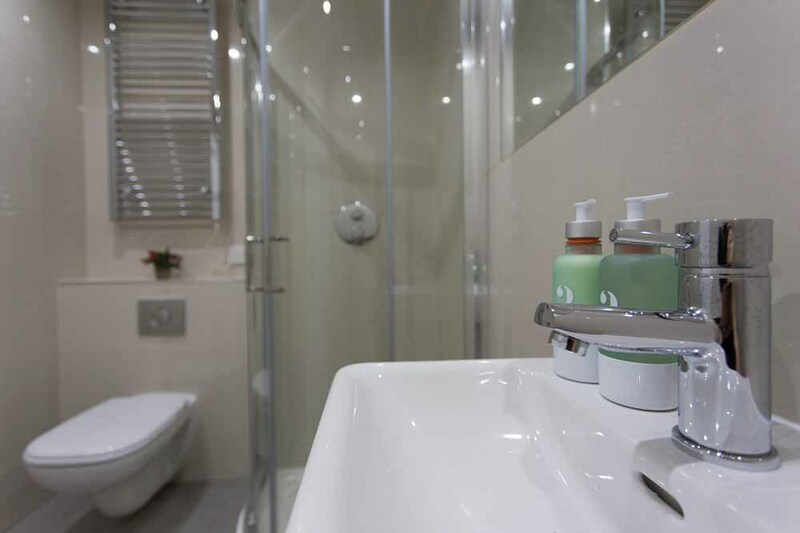 Added mod-cons like a kitchenette, free wireless internet and weekly maid service give guests peace of mind and provide a comfortable environment throughout the stay. 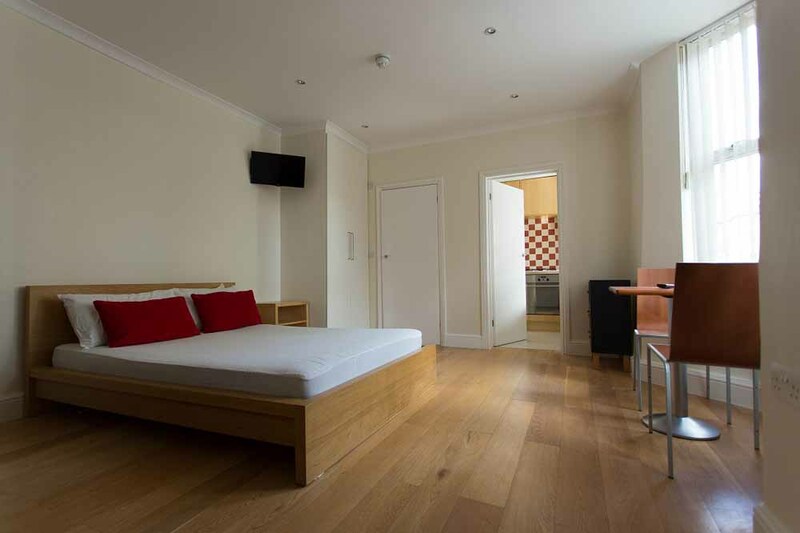 Sleeps two and has a combined living and sleeping area, double bed, one bathroom and a fully equipped kitchenette. 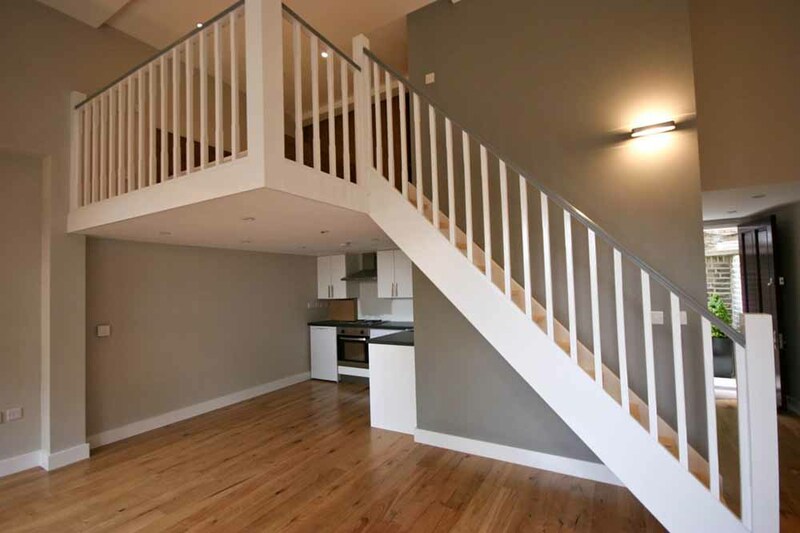 Please note: there is no lift and reception at this building.